A pathway to a more sustainable world goes over renewable LPG. Green LPG aims at providing an expanding energy market with a product made from a completely CO2 neutral feedstock. LPG has a well-established infrastructure, reduces emissions in comparison to oil and coal, is easily stored and handled. Now we make it renewable as well. The GreenLPG solution includes a patented process, where a cheap raw material is cleaned, processed and tapped. The product is interchangeable with LPG, handled exactly as conventional LPG and provided to the aware customer through conventional routes. The technology is a result of the dedicated research of the team at Biofuel-Solution in Sweden. The chemical conversion of a low-cost raw material to a high-value fuel is performed at mild conditions in a catalysed gas-phase reaction with high yields. Glycerine is the first source of raw material. A benign chemical, it is for example available as a major by-product in commercial production of biofuels and is considered 100% CO2 neutral in the EU. Further on, more feedstock will be added to the list. LPG (Liquefied Petroleum Gas) or Propane is identified as a large growth area by major industry players. It is a fuel of clean burning characteristics, low NOx and particle emissions and with a wide variety of uses. 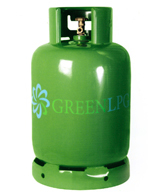 The GreenLPG web page is launched. The GreenLPG concept is presented at Svenska Gasdagarna in Lund. SGC grants Biofuel-Solution the Proof of Concept Study of renewable propane. Biofuel-Solution is awarded to perform a Concept Study of renewable energy gases.